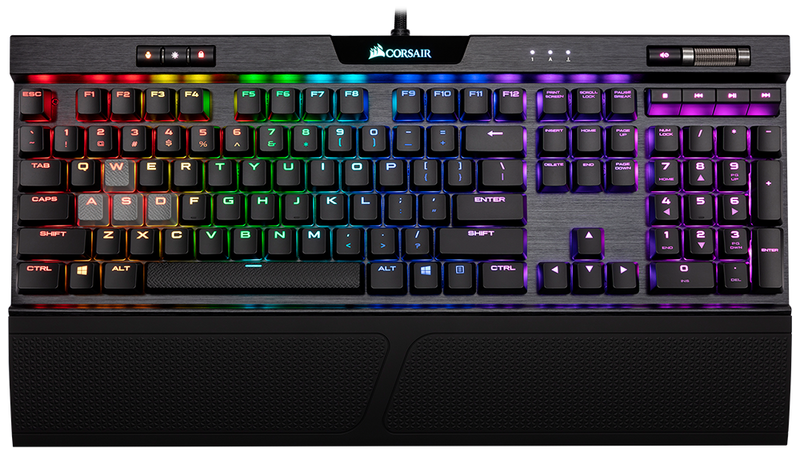 Corsair's K70 has long served as a go-to solution for gamers seeking a reliable mechanical keyboard. 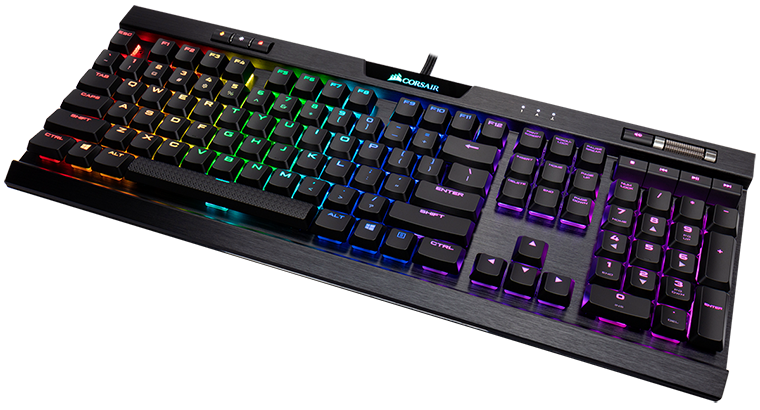 Offering a choice of backlit Cherry MX switches and a likeable volume scroller arranged on an aluminium-topped board, the K70's familiar format has remained largely unchanged throughout the years. 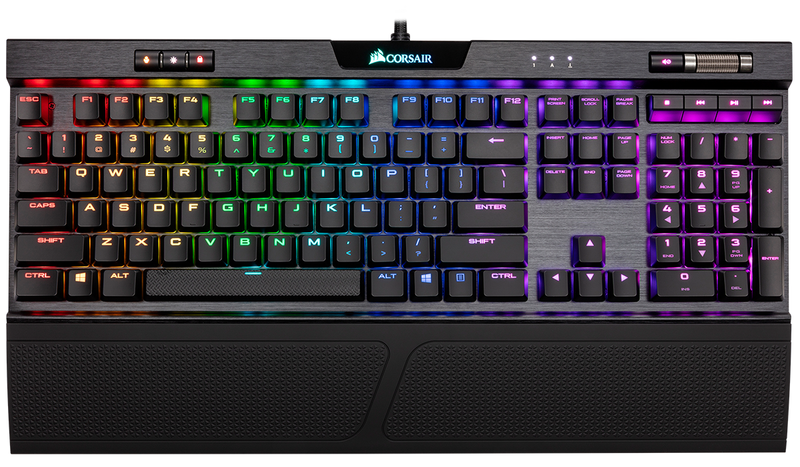 It's a formula that works, but with so many rivals now offering similar alternatives of their own, Corsair needs to mix things up and is doing exactly that with the K70 RGB MK.2 Low Profile Rapidfire. The clunky name isn't a reflection of the product itself. 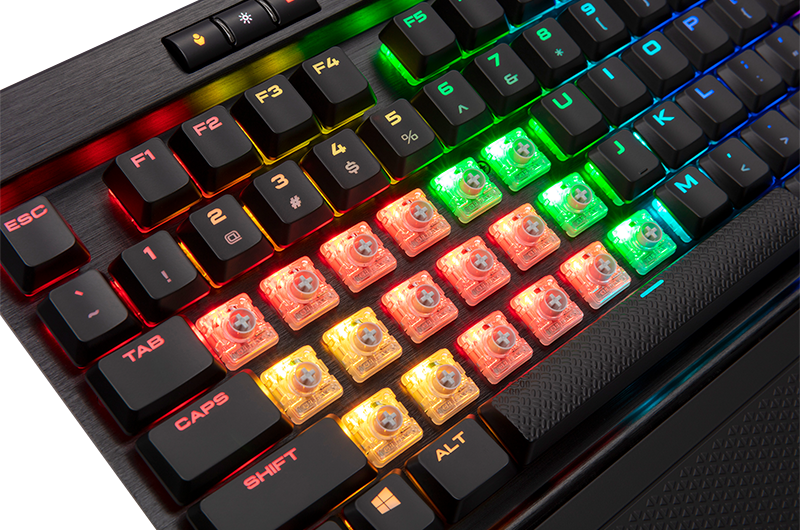 Borrowing key features from the range-topping K95 RGB Platinum, the K70 RGB MK.2 claims to be "a substantial upgrade" that differentiates itself from Corsair's usual crop by being the world's first keyboard to employ the Cherry MX Low Profile RGB Speed keyswitch. UK pricing at launch is set at £160, making it firmly an enthusiast choice, and we've spent the past week getting acquainted. On paper, the specification of the LP Speed switch suggests that Corsair's latest shouldn't feel too dissimilar to myriad MX Red boards. The keys are linear with no audible click and require the same 45 cN operating force, but the shorter design is reflected in travel distance, which falls from 4mm on Cherry MX Red to 3.2mm on Cherry MX LP Speed. Importantly, the actuation point is now just 1.0mm (0.2mm shorter than the existing Cherry MX LP), making the Corsair exclusive Speed variant one of the most responsive solutions around. Is anyone other than the most discerning pro gamer likely to notice a change of 0.2mm? The Rapidfire marketing should be taken with a pinch of salt, yet in practise the low-profile design does have some other unexpected benefits. The keyboard's height has been reduced to 29mm (compared to around 40mm for most other Corsair solutions) and the shape of each keycap is such that each key feels closer together. What you end up with is a mechanical switch in a more laptop-like layout. A good switch integration is very much a case of personal preference, but I will say this: I've felt right at home on the K70 RGB MK.2 Low Profile from the get-go. Gaming on the board feels fast and responsive, as is to be expected, and I've been pleasantly surprised by how much I've enjoyed using the keyboard for everyday typing. Maybe it's the lower height, which makes for a more comfortable wrist position, or perhaps it's the reasonably quiet action, but whatever the case, I'm tempted to make this the default keyboard on my desktop. 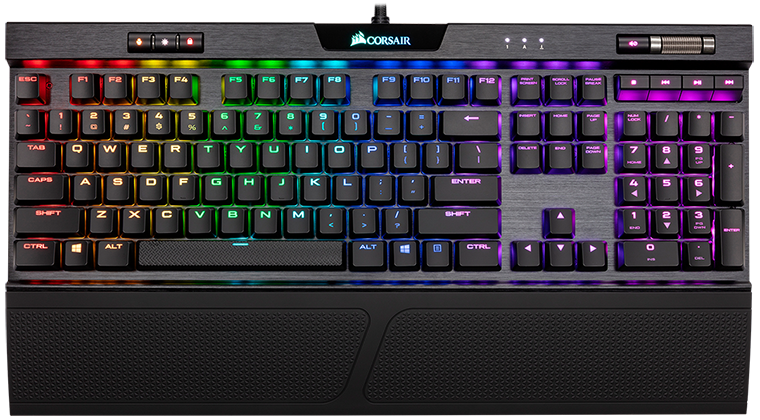 It helps that Corsair's latest is easy on the eye, too. The low-profile K70 is noticeably sleeker than its standard-profile predecessors, and the slim keycaps take away a lot of the perceived bulk, resulting in a flatter, less gaudy board. Build quality remains solid - the top aluminium plate provides excellent rigidity while the keycaps exhibit very little unwanted movement - and if you like to play with lighting, Corsair's RGB implementation is among the best in the business. 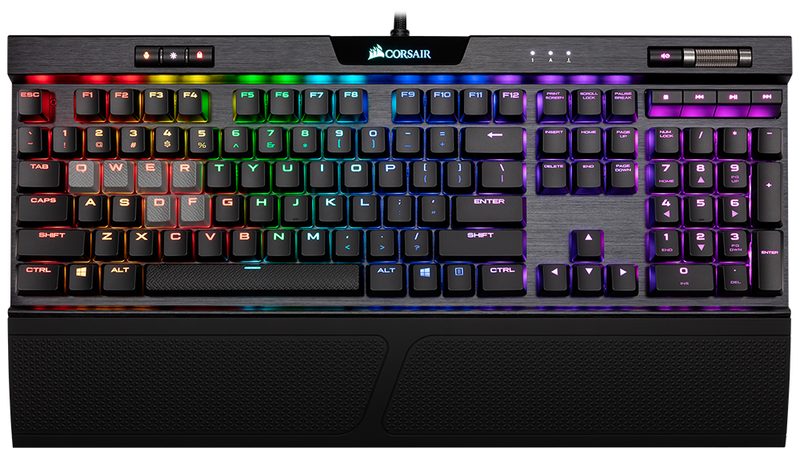 We also like the fact that Corsair includes grey contoured and textured keycaps for FPS and MOBA gamers as part of the bundle, however there are some points of contention elsewhere. The included clip-on wrist rest does a job but isn't the most luxurious, the volume scroller wheel has a little too much resistance for our liking, and though the heightened multimedia controls are easier to see and use, a raised position makes them almost impossible not to brush when using the volume wheel. We'd ultimately prefer the multimedia controls to be unobstructed across the top of the board, trading places with the status LEDs. Considering the price point, it's also a shame that in late 2018 a £160 keyboard still requires two USB ports on the host PC and offers only a single USB 2.0 passthrough on the back. It's about time we moved to USB 3.0, preferably of the Type-C variety, and while we're nitpicking, Corsair's choice of keycap font still isn't doing anything for us. Sure, the wide font helps amplify the RGB glow, but it lacks elegance, and I personally prefer the typeface on my K70 from 2014.